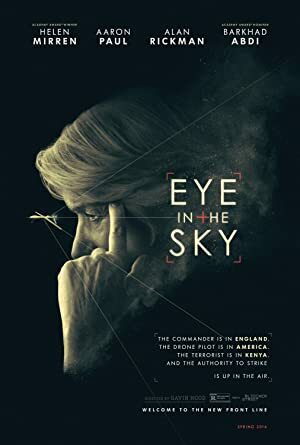 Eye in the Sky (2015) – What's New on Netflix Canada Today! Col. Katherine Powell, a military officer in command of an operation to capture terrorists in Kenya, sees her mission escalate when a girl enters the kill zone triggering an international dispute over the implications of modern warfare. While a drone circles over Kenya, politicians and military brass in London clash over a strike that could kill a terrorist – and an innocent girl.